Kyrgyzstan, officially the Kyrgyz Republic, formerly known as Kirghizia, is a landlocked country located in Central Asia. Landlocked and mountainous, Kyrgyzstan is bordered by Kazakhstan to the north, Uzbekistan to the west, Tajikistan to the south west and China to the east. Its capital and largest city is Bishkek. 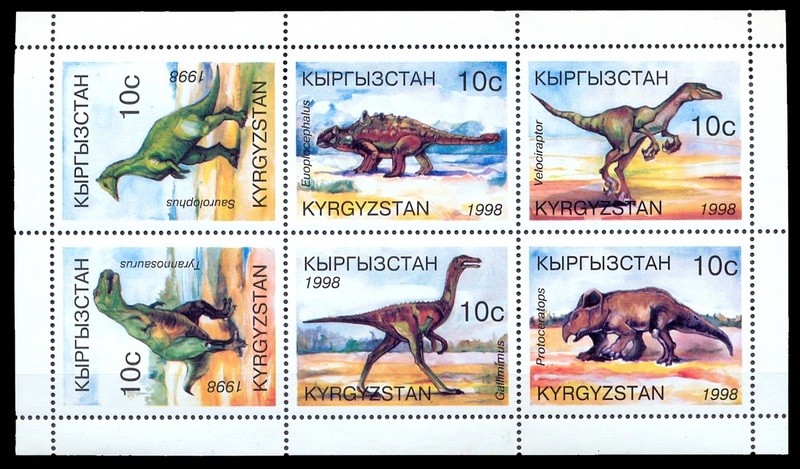 The postal history of Kyrgyzstan began when the nation declared independence in August 1991. Under the Soviet Union, the Kyrgyz SSR postal service was an integral part of the Soviet system. Kyrgyzstan is a member state of the Universal Postal Union since 1993 with its two designated postal operators - "Kyrgyz Pochtasy" SE and "Kyrgyz Express Post" LLC. 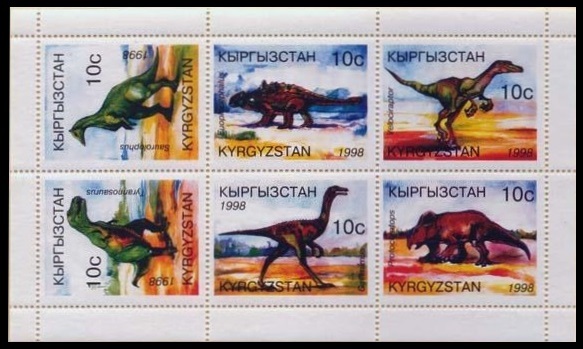 In 2014 the second designated postal operator of Kyrgyzstan, Kyrgyz Express Post (KEP), decided to issue its stamps by the consent of the Ministry of Transport and Communications of the Republic of Kyrgyzstan. The stamps issued in Mini-Sheet of 6 stamps as well as in separated 6 sheets. There are some forged Mini-Sheets available on the market. Many of them are offered in Internet. Forged stamps can be recognized by color: there are too many red and black color on forged stamps that make blurry images. Exist as in imperforated variation too.